School holidays in Sydney can see temperatures soaring well into the 30s and above! With hot and bothered little ones, you need a bag of tricks so to speak of places to go and things to do with kids to cool them off, keep them entertained and keep boredom at bay. ellaslist has you covered with some wicked water parks, splashtastic fun and maybe some activities you wouldn’t have otherwise thought of. Water play parks are a gift from the Gods. Perfect for toddlers, nothing is more convenient on a hot day than taking your little one to a local park fitted with fountains, tipping buckets and water jets. 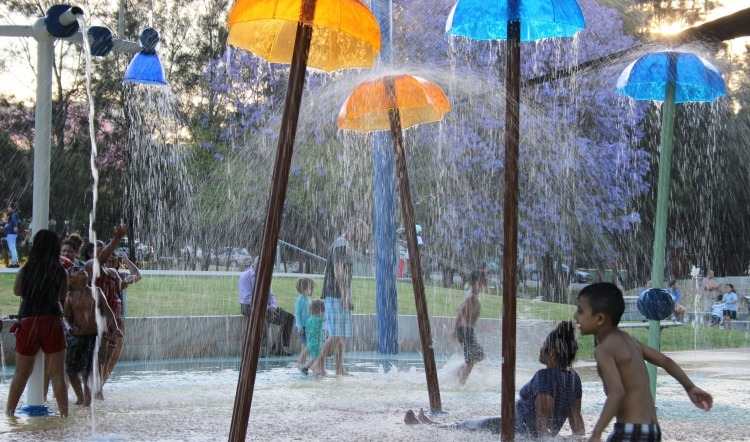 Our favourites include Blaxland Riverside Park which has the largest outdoor water play facility in NSW, Granville Water Park and the James Ruse Reserve water park. We’ve also got a big list of splashtastic water splash parks, perfect for kids of all ages. 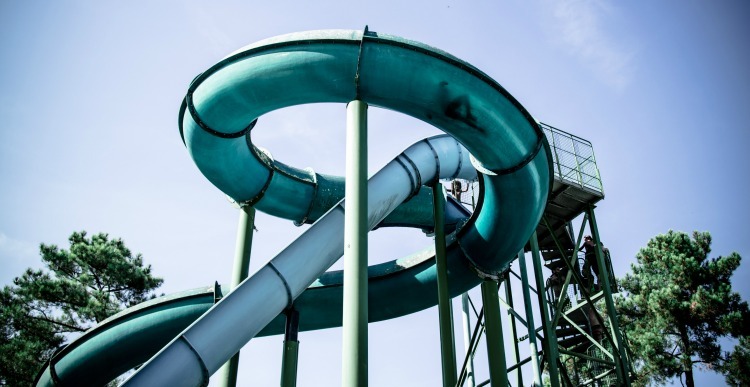 Cool down and get your adrenaline pumping with an awesome water slide ride this Summer! Highlights this summer season include Slideapalooza in the Hunter Valley which is hosting 2 family friendly days with great entertainment & The Big Wedgie in Auburn which boasts the the TALLEST and most EXTREME standalone inflatable waterslide in the WORLD! Poppin’ up all over Sydney are some wondrous water parks for a full day of family fun! Waterworld Central is returning to the Entertainment Quarter & Bateau Bay this January where kids aged 2-16 years can enjoy Shark World, Dragon Pool, Dolphin Slide, a wading pool, a Hippo Slide and can run on water inside Water Zorb balls! A brand new $7.5 million investment proves to be our water park pick this summer: the Prairiewood Leisure Centre’s Aquatopia! Here you can hire a cabana, slide down a 10m high slide, toss your little one into the interactive baby pool or check out the Stingray Surfing and skim boarding half pipe ride coming soon. The best part? 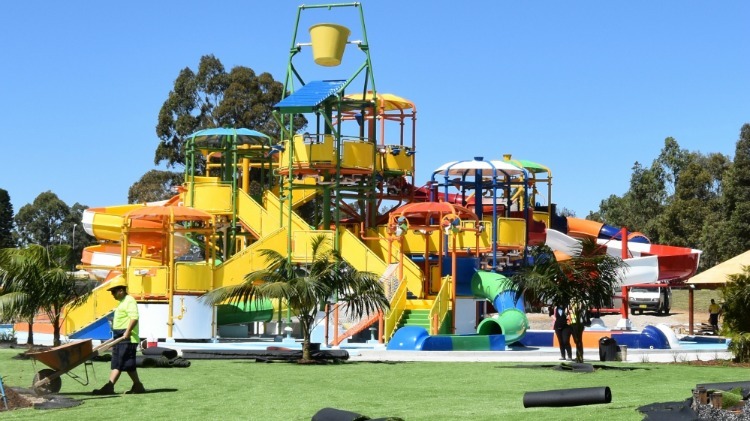 It’s one of the most affordable water parks in Sydney! Wet’n’Wild is in a league of its own. This summer season, Wet’n’Wild is back and better than ever with more shade, a Dinosaur Lagoon that will bring you face to face with prehistoric creatures, and a Tap’n’Play system that makes lining up a thing of the past. Make it a full family day AND night of summer fun with their Live Summer Music Series to catch some great entertainment, evening film screenings with Cinema in the Sand, learn to surf at the wave pool, or see some jaw-dropping, heart stopping action with the Showtime FMX Summer Slam! There is SO much happening here this summer. A day at the beach- there’s no better way to spend a hot day than splashing around in the shallows, grabbing an ice cream from the kiosk and building a sand castle or two. However, some beaches are more kid-friendly than others. We have made lists of our favourite beaches to take children in the Eastern Suburbs, South Sydney, Northern Beaches, & the North Shore. What do we recommend you visit? Harbour Beaches without a doubt! They are usually less crowded than ocean beaches, have calm, flat waters and often, protected swimming areas. They’re easy on the eyes too! For older families that want more than a wade, check out one of Sydney’s best action beaches, or head out on an adventure to find one of our city’s best secret beaches. 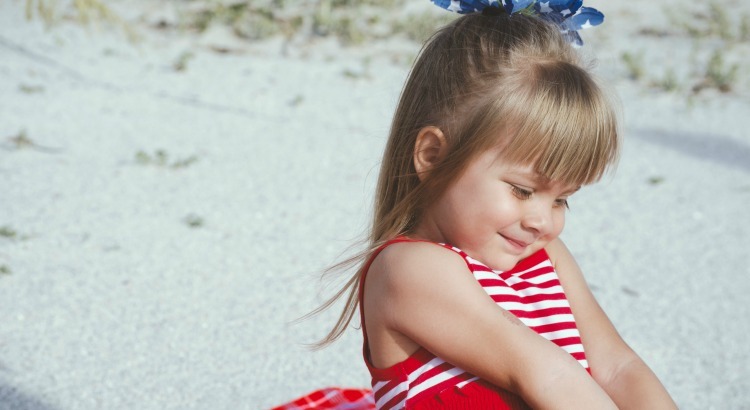 On a hot day, your first instinct may be to get your little ones straight into the water! This summer, why not expand you horizons with an air-conditioned activity such as a visit to one of Sydney’s best destination stores? IKEA, Toys’R’Us, and shopping centres with indoor play areas are all great ways to hide from the sun during the hottest part of the day. Indoor play centres are another great choice! For playtime like no other, you have to check out Nubo in Alexandria- it’s a little slice of heaven with no fluorescent colours, fried food or awful coffee in sight. We also love the miniature worlds where children rule at Wannabees Family Playtown, and the action and adventure of trampolines and foam pits at Ultimate Sydney. Museums are another top idea- they’re air conditioned, and will spark your child’s imagination unlike any other school holiday activity. This Summer, we recommend you check out the Museum of Sydney’s Sand in the City exhibition- a LEGO and sand celebration of Sydney’s beaches. Step back in time with the Powerhouse Museum’s Egyptian Mummies: Exploring Ancient Lives expo which introduces kids to history in an interactive and exciting way. If you just can’t keep kids out of the water on a hot day but the thought of sweltering on the sand is the stuff of your nightmares, try one of Sydney’s best indoor swimming pools. 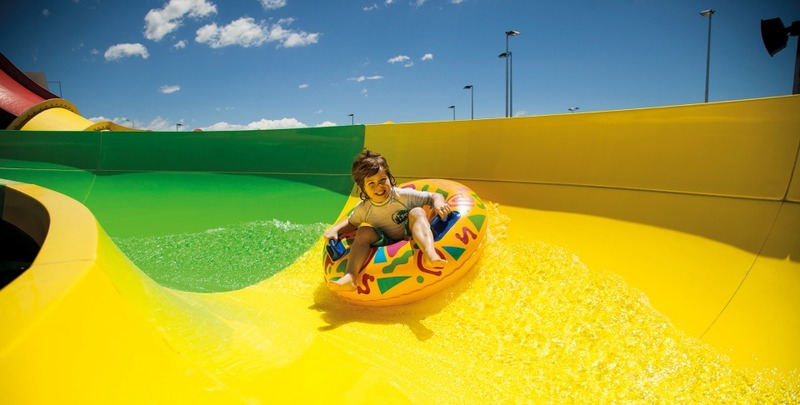 We recommend heading to the Sydney Olympic park Aquatic Centre where you’ll find Splasher’s Water Playground- water slides, cannons, jets, and fountains make for epic water fun. If you’re fresh out of school holiday activity inspiration- you need the ellaslist Guide to Summer! Get your FREE digital copy now!